Every day we are asked if there is an age that is “too early” to start preventing the skin from aging or to start on the journey for skin rejuvenation. We have been thinking about this question for years and in fact were the first to introduce and coin the term “prejuvenation,” a buzz word that has since taken off on a journey of its own. Just Google-search the word and you’ll see what we mean! “Prejuvenation” is the act of initiating a series of thoughtfully planned steps that will prevent or impede the changes associated with the appearance of “aged” skin – lines, wrinkles, brown spots, and thin dry skin. “Prejuvenation” will not only maintain the health and aesthetics of youth, but also enhance it in the most natural way possible. After all, if this simple program is started early in life, skin changes associated with aging, which are mostly preventable, will simply not evolve. If “prejuvenation” is initiated from childhood on, then “rejuvenation” will not be needed later in life. It is easier and more effective to prevent the appearance-related changes thought to accompany age than to treat them once they’re there. The easiest, most effective and most inexpensive anti-aging regimen anyone can use is one that provides protection from the sun. Regular use of sunscreens will not only protect your skin from skin cancer, but will also help prevent fine wrinkles, sun-induced brown spots, and the overall loss of collagen that lead to visible signs of skin aging. The American Academy of Dermatology recommends using a product with SPF of 30 or higher. You also want to look for the word “broad-spectrum” in the label which means that you are being protected against both the aging and the burning rays of the sun (UVA and UVB), both of which have been shown to cause skin cancer. Sunscreen application should be started in early childhood. There are many categories of “anti-aging” products among the plethora of prescription and over-the-counter topicals available. Generally speaking, most anti-aging products focus on protecting against ultraviolet rays of the sun, soaking up damaging free-radicals (this is the case of anti-oxidant products like vitamin C, vitamin E, green-tea, etc. ), and/or stimulating collagen formation. Collagen is the major protein backbone of the skin that gives it structure, resilience and ultimately helps plump up the skin and smooth out wrinkles. Retinoids are the most effective of the topical agents available for stimulating collagen. They also alter the way skin grows, diminishing photodamage. In adults, it makes sense to start using effective topical agents at the first signs of photoaging, which is often in the 20’s or 30’s. Retinoids and some of the other agents may be used concomitantly. The earlier they are used, the better is the skin protected and the more damage is prevented. Lines and wrinkles on the upper face form over time due to repetitive folding of the skin that occurs with everyday use of the muscles of facial expression. It is not uncommon to see patients even in their early 20’s with deep and prominent forehead wrinkles and frown lines. Injection of neuromodulators such as Dysport or Botox will relax the muscles that form the horizontal lines of the forehead as well as the vertical frown lines that often make people look upset or angry. 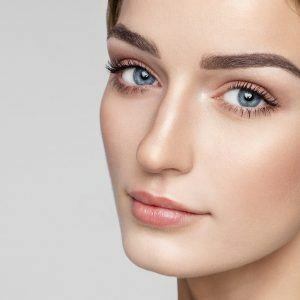 Additionally, neuromodulators can be used around the eyes and eyebrows to help shape the brows as well, open and brighten up the eyes and diminish “crow’s feet”. Early use of Botox or Dysport not only helps treat current wrinkles, but unquestionably prevents progression to deeper, more fixed and less treatable lines over time. Neuromodulators are a key step in “prejuvenation”. A good time to start is often in the late twenties to early thirties. We now have procedures that take away sun damage (think stubborn brown spots and fine wrinkles), and as well stimulate formation of new collagen. Fractional laser resurfacing, such as Fraxel Dual and Clear + Brilliant lasers, Picotoning or intense pulsed light (IPL) treatments, allow patients to erase sun damage and improve skin texture without prolonged downtimes. Patients can benefit from these treatments starting in their late twenties to early thirties as the skin begins to show signs of early sun damage. As we age we begin to show signs of “volume loss” in our face. This is caused by the natural loss of collagen, the restructuring of bone, and the subsequent movement of fat pads in our face, which overall result in the formation of wrinkles, sagging, and hollows on the cheeks. We can replace this loss using fillers primarily consisting of hyaluronic acid which are composed of naturally occurring sugar molecules. Using the concept of “prejuvenation” we are able to keep up with the rate of age-related volume loss by gradually and slowly adding back what our skin is naturally losing in real time with very little discomfort and downtime. Studies have not only shown that these changes can occur as early as 30’s in age, but that placement of hyaluronic acid fillers can help stimulate the production of your skin’s own collagen. Most of the art of this “replacement” is in selecting the correct type of filler and being under the care of a skilled, experienced injector, so be sure to talk to one of the SkinCare Physicians experts about the best treatment for you. Last but not least of the “prejuvenation” steps is the use of non-surgical radiofrequency (RF) skin or ultrasound skin tightening procedures. Early use of the RF procedures Thermage or Pelleve (beginning in the mid 30’s for example) can help even our younger patients not only achieve visible tightening of the skin, but induce preventative tightening of collagen in the skin for decades to come. By heating the skin in a deep and uniform fashion, Thermage helps to tighten the forehead and cause lifting of the brows, hence enhancing the appearance of eyes, as well as lower parts of the face including cheeks, jaw line and upper neck. Furthermore, when done preventatively, every 1-2 years, Thermage assist in “stopping the clock” and preventing future sagging of the skin. Pelleve is an RF treatment that is used to tighten skin around the eyes and mouth area. Both have no downtime, so patients can walk out of the office without evidence that any procedure was done. The best way to protect and prevent your skin from signs of aging is to start early with a “prejuvenation” program. From applying sunscreen at an early age to preventative treatments in your 30’s, it is now possible to modify most of the changes occurring to your skin as you age and enjoy a natural youthful appearance later in life. Come visit SkinCare Physicians near Boston for a consultation, and our “prejuvenation” experts will design a program that is customized for your needs.